As much as you might actively push back against the impulse to compare yourself to everyone around you, it's tough not to be curious about one thing in particular: how much money do your friends, family, and neighbors make? Are they scraping by week to week, or rolling in enough dough to retire by 40? Unless you lack any shame or manners and ask them point blank, you probably will never really know. However, you may be able to get a better idea after peeking at this new list, which reveals the highest paying jobs in every state. This new set of enlightening data comes from the folks at career guidance site Zippia, who looked at a bunch of raw data to identify the best and worst paid professions in every state. Specifically, they consulted the latest numbers from the Bureau of Labor Statistics, and compiled a list and map of the jobs in each state with the highest annual salaries. 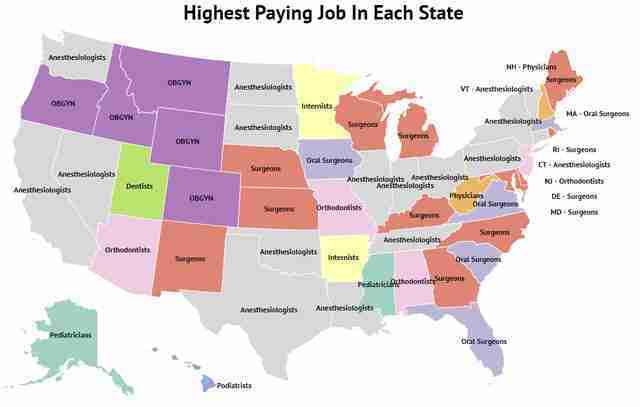 Topping the list overall are Orthodontists in Alabama, who rake in a cool $289,740 annually on average, followed closely by Oral Surgeons in Florida ($288,450), and Surgeons in Maine ($287,030). Meanwhile, on the other end of the spectrum Baggage Porters and Bellhops in South Carolina are the lowest paid, making just $17,810 annually. Here's how the best-paid jobs in every state shake out, along with their average annual salary. 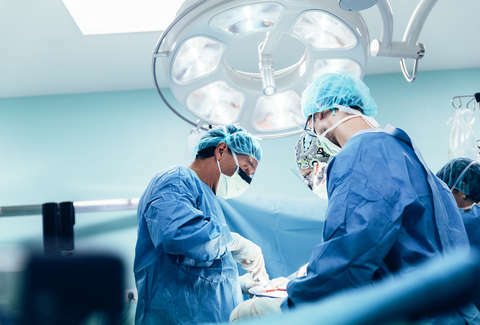 As you'll notice, every single position on the best-paid list is in the medical or dental field, which isn't all that shocking since those have long been rather lucrative professions. However, it's kind of surprising that neither executives nor specialized tech pros are at the top in places like California, Washington, or New York, where you might expect to see them. Then again, if you've ever had to pay for braces or surgery out of pocket, you'll understand why orthodontists, anesthesiologists, and surgeons are seemingly rolling in cash all over the place. But, hey, who needs to go back to medical or dental school to secure a fat salary when you could easily pad your paycheck by making some extra cash from the comfort of your couch?